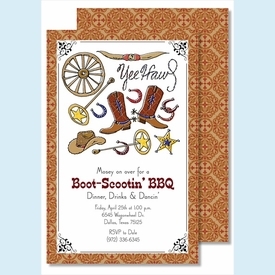 Use our Yee Haw card for a festive western invitation! Card is printed on reverse in coordinating pattern. 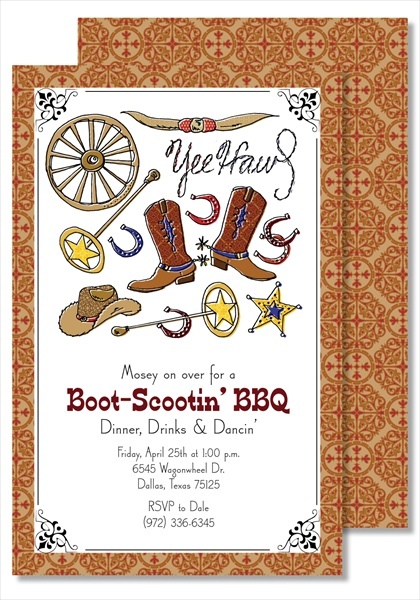 This item drop-ships from our supplier FOB Dallas, TX; if ordering custom printing, please allow 1 week for us to receive product.